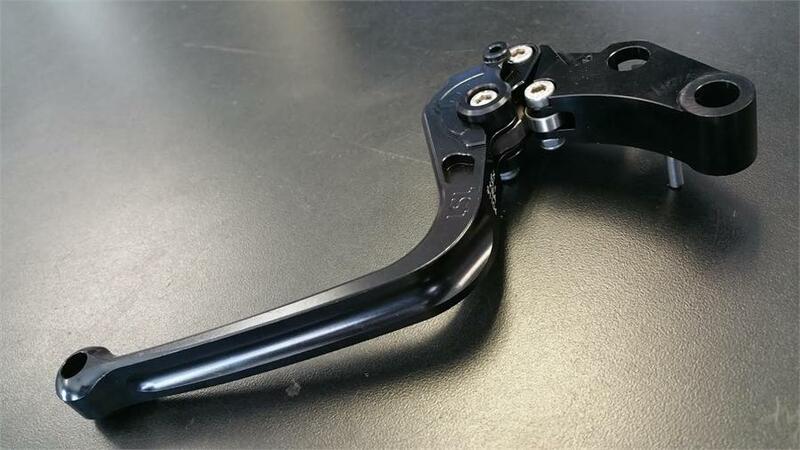 This extremely ergonomic lever set, which will also suit smaller hands, was designed by LSL specifically for Victory motorcycles. A glove-friendly adjuster allows you to select 6 different lock-in positions for the lever. The levers are precision-machined from solid T6061 aluminium, and feature a ball bearing-mounted elliptical adjuster and an accurately fitting brass bush on the mount. The hard-anodised surface is weather-resistant and durable.